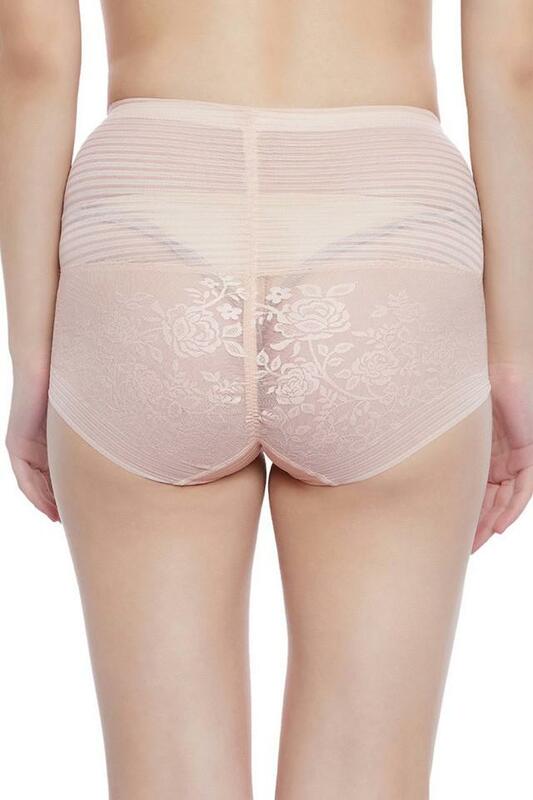 Clovia presents this lace tummy tucker shapewear, which will help you hide your flabs so that you look in shape. Made of nylon and spandex fabric, this shapewear is super comfortable to wear and skin friendly as well. Discard your flabs to showcase curvaceous figure wearing this tummy tucker shapewear. Team this shapewear with a matching bra and wear it under fashionable sheer dress.